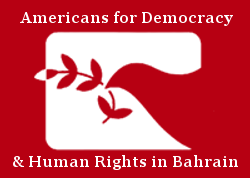 On Wednesday, 30 January 2019, the United States (US) House of Representatives, led by Representative Ro Khanna (D-Calif), re-introduced a War Powers Resolution (H.J.Res. 37), regarding US involvement in the conflict in Yemen. Representative Khanna stated how he had been working in conjunction with Senator Bernie Sanders (I-VT), the Chairman of the House Foreign Affairs Committee (HFAC), Representative Eliot Engel (D-NY), and other Congress members to re-open debate on the conflict. The sponsors of the resolution believe that they will receive significant bi-partisan support, returning constitutional powers back to Congress. 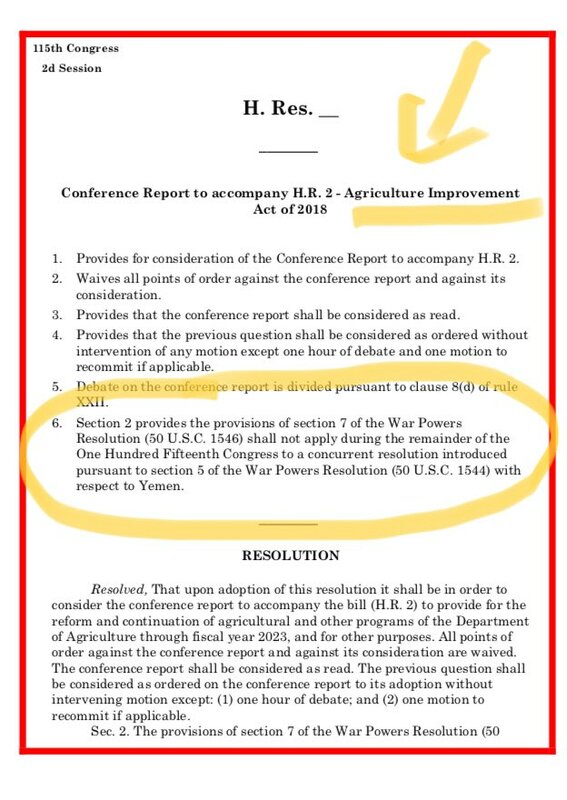 While similar resolutions have been previously introduced several times over the past two years, they have yet to be passed by the House, most recently due to hidden language within the 2018 Farm Bill, which barred any debating on the topic of Yemen from occurring in the House. Representative Ro Khanna first attempted to pass a similar resolution, H.Con.Res. 81, in the fall of 2017, to direct the President to remove US Armed Forces from hostilities in Yemen. After the resolution failed to pass, Representative Khanna remained undeterred and re-introduced another resolution, H.Con.Res. 138, roughly a year later. Representative Khanna commented, “the bloodshed continues with widespread destruction and disease contributing to the world’s worst humanitarian crisis [as] US-fueled planes continue to drop US-made bombs on innocent victims.” Unlike the previous attempt, H.Con.Res. 138 seemed to be much more promising as Senator Sanders pushed forward and passed the same resolution within the Senate, citing how Congress never authorized US military assets to be deployed in such a way. While Senator Sanders was able to pass S.J. RES 54 with a vote of 56-41 on 13 December 2018, the House was unable to debate their resolution due to Speaker Paul Ryan’s (R-WI) hidden rules within the narrowly passed 2018 Farm Bill in a 206-203 vote that prohibited any debate on matters related to Yemen. Speaker Paul Ryan’s actions to prevent debate on Yemen took many by surprise on both sides of the political field. Hidden within a Conference Report, Speaker Ryan included a small excerpt that barred any formal discussion on the conflict for the rest of the year. The document reads, “the War Powers Resolution (50 U.S.C. 1546) shall not apply during the remainder of the One Hundred Fifteenth Congress […] with respect to Yemen.” Drawing intense criticism from Democrats and Republicans alike, Republican Representative Thomas Massie (R-KY) called the actions of the speaker both “despicable” and a “shrinking [of] responsibility” in a tweet. However, now that the 116th Congress has been sworn in, the resolution can be discussed and voted upon. As mentioned, Representative Khanna and Senator Sanders have re-introduced the resolutions into the House and Senate. Khanna discussed how he believes that the House will be able to vote on the resolution today, 1 February 2019, and that Senator Sanders should be able to lead his fellow senators to pass the resolution again. Since the resolution is likely going to pass, the bill would then go to President Trump’s desk, where he has promised to veto it in the past. If the President were to veto the resolution, Congress would re-vote on the bill, requiring a two-thirds majority to override the veto. This outcome appears to be unlikely due to Republican control over the Senate. The Trump administration has argued against this resolution, citing that it would undermine Saudi influence and allow Iranian interests to expand throughout the region. If passed, the resolution would require that the US to remove Armed Forces from hostilities in or affecting the Republic of Yemen within thirty days unless war is declared. If Congress acts swiftly and effectively, then the recent ceasefire between the Saudi coalition and Houthi Rebels can be built on to help open peaceful negotiations to bring the bloody conflict to an end.